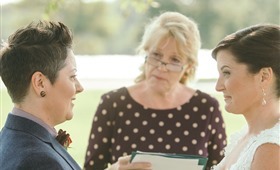 Sally Lilly, a wedding officiant in Denver, talks about the differences among wedding officiants. Sally walked us through some typical wedding officiant services and prices and shared some criteria a good wedding officiant should fulfill. My name is Rev. Sally Lilly. I am a modern, open-minded wedding officiant who believes everyone should be treated with love and respect. I have been in the wedding industry since 2002. Originally I started as a “chapel keeper” at Our Lady of Loretta Heights Chapel. I was there to assist guests before, during and after the ceremony. After that, I took a job at the City of Thornton assisting the elderly in many ways, including social services like helping them apply for housing and food stamps. 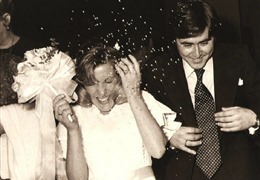 After the funding ran out for the program it was time to return to the joys of weddings and I have never looked back. 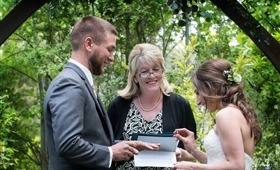 How did you become a wedding officiant? 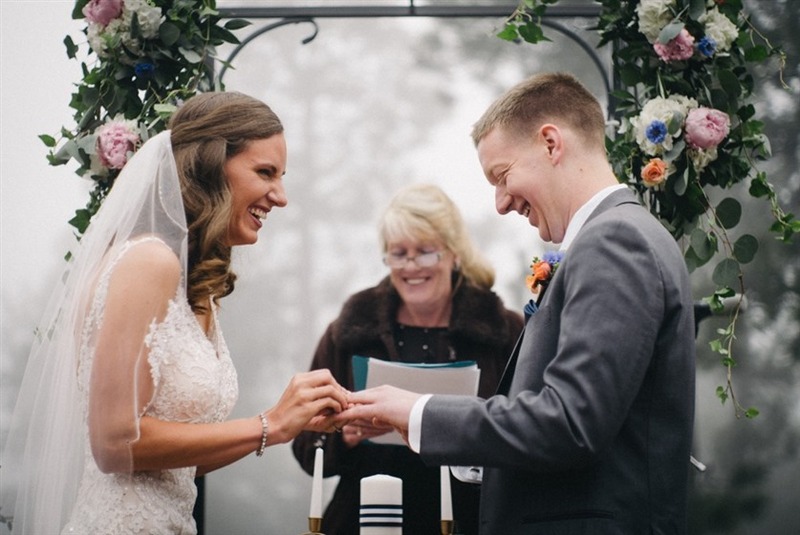 During my time at the chapel, I would watch all the different couples and their wedding officiant and frankly, I was often appalled at the way some officiants conducted themselves and their treatment of the couples. It is not the job of a wedding officiant to force their opinions upon anyone. I believe it is my job to help couples find their own voice and help them express their love in their own unique way. It brings me great joy to see their happiness on such a special day. Mostly they ask about what kind of ceremony they have to have and I always let them know that it is up to them. It is my duty to help them find what speaks to them. 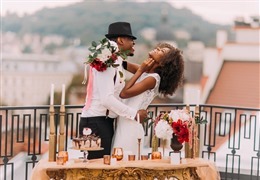 I most often work with either non-religious couples or those that have different backgrounds who are looking to meld their differing views into a ceremony that reflects both of them. And, of course, there are always questions about the wedding officiant cost. How much should the couples expect to pay for wedding officiant services? I can’t speak about others but I like to offer my services at a reasonable price ($300-500). This generally includes a rehearsal, which I highly recommend. The only other fee I may charge is mileage if the ceremony is far away or in the mountains. I think that most officiants are underpaid because people only see the hour or so that is spent at the ceremony. They don’t think about the time spent with the first meeting, crafting the ceremony, rehearsals, mileage and time spent traveling. Are there things that make a wedding officiant special? Some officiants require couples’ counseling and others insist that certain religious traditions be followed. If a wedding officiant tells you that you have to do something that you don’t really want, then they are not honoring you or your life. I welcome the different and unique. There are so many differing views concerning spiritually and it is not up to me to tell anyone what they should do or believe. Each couple is unique and different. So, a good wedding officiant is the one that respects those differences. Do you help couples come up with their vows? Some couples already know what they want to promise. Others…not so much. I offer a selection of secular and religious examples to help jumpstart the process. It doesn’t matter what they say, only that it comes from the heart. I have used everything from Gandhi to Harry Potter as inspiration. What was the most memorable wedding you officiated? That is a very hard question but it may have been a couple who had already planned a beautiful summer wedding when they were struck by tragedy. The groom had a terrible accident and wound up in Craig Rehabilitation Hospital. I was called upon to create a short but meaningful ceremony performed at the hospital. Finding the words to express their love and hopes for the future was a challenge I gladly accepted. More than once. Most often it is when a small child, acting as flower girl or ring bearer, has a meltdown. I even had to chase down a ring bearer who was running away with the rings! Afterward, we all had a good laugh. Which portion of the process takes the most energy? I spend the most energy writing the wedding officiant script as each one is personal and unique. No cookie cutter or wedding officiant guides, especially when they have something very different they wish to incorporate, like superheroes. What does your day at the wedding itself look like typically? I usually arrive about 45 minutes early on the day of so I can coordinate with the DJ on music and get a mic. I check in with everyone to make sure all is going well and then I wait until the bride is ready. Mostly they are on time but not always. After the ceremony, the couple and I sign the license and have a few photos taken. Then I visit with the guests for a bit before I am on my way. 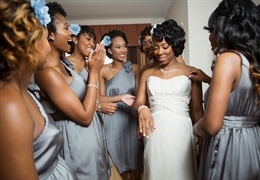 What would be your advice for future brides and grooms? That they do not worry about things being absolutely perfect. Don’t sweat the small stuff. In the end, as a wedding officiant I can say the only thing that matters is that they get married. 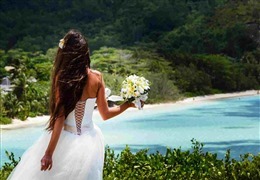 Learn more about Bella Jour Weddings and see what they have to offer!